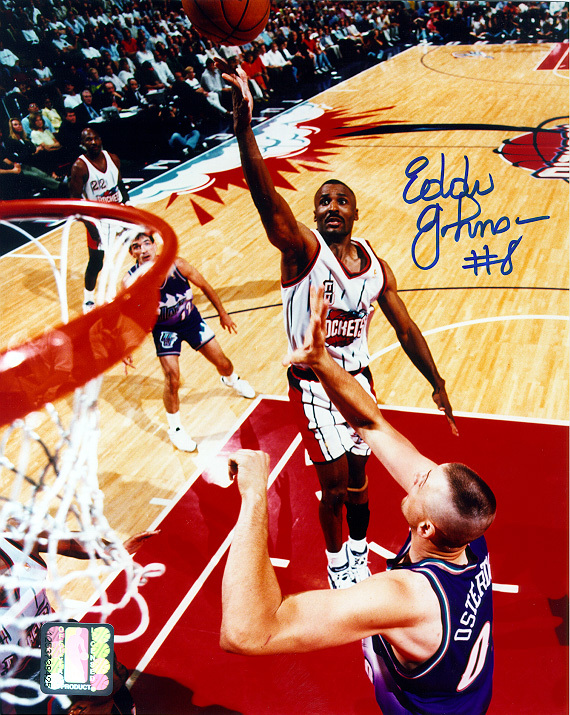 Eddie Johnson played in the NBA from 1981-1999 before retiring. He spent his last three years playing with the Houston Rockets. Johnson was known as a pure shooter behind the arc for the Rockets. He rarely missed. Eddie Johnson has personally hand signed these 8x10 photos. Each Eddie Johnson autographed photo is guaranteed authentic, and includes an individually numbered TRISTAR Authentic hologram. You can verify the authenticity of your autograph by entering your hologram number online at www.tristarauthentic.com.